HomeBlogSEOCrunch time: is the gym equipment industry free of Penguin? Okay, recap time. I think it’s important to clarify what is meant by Penguin. The currency of SEO is links. The more links point to your website, the more likely it is to rank highly for keywords. This resulted in a swathe of spammy tactics from link directories to blog networks designed to manipulate Google’s algorithms. Eventually, Google snapped and released a series of Penguin algorithm updates. These were designed to penalise websites that aggressively used unnatural link building methods by devaluing poor quality links and handing out manual action penalties. The result was that many websites dropped off the radar overnight and have struggled to recover since. For information on how to recover from a Penguin penalty, download our free guide now. So when we began to research websites selling gym equipment, we were bracing ourselves for a highly competitive industry which has suffered greatly as a result of risky link building tactics from a bygone age of SEO. What we found was surprising. We profiled four leading websites; Powerhouse Fitness, Fitness Superstore, Gym World and Anytime Leisure. Whilst there were large fluctuations in the overall rankings of these websites over time, none of them appeared to lose visibility during a Penguin algorithm update. – How safe is the link profile of these websites? – What lessons can be learned? – What can these websites do to improve? When analysing this website, we found that the visibility has remained fairly consistent over the last three years and that it appears at the top of search results for some extremely competitive keywords such as “kettlebell” and “dumbbell set”. The website also has an effective long tail optimisation strategy as a result of a combination of effective keyword research and good web design. As a result, their simple navigation structure ensures that sub-categories can be easily found and indexed by search engines. Overall, the SEO campaign is very good. When we looked at the link profile, this website was also ahead of most of its competitors, with the exception of Fitness Superstore. However, when we started to look at how they obtained their links, some alarm bells started to ring. At first glance, this looks perfect. The branded keywords are by far the most prevalent and there are some miscellaneous keywords thrown in such as “view”, “click” and “site”. After that there are lots of keyword focused terms, which are in far fewer numbers. Since the Penguin algorithm, there has been a hesitancy to use keywords in anchor text as it looks unnatural. However, our research has shown that this is still an extremely powerful way to get ranking for competitive keywords as long as it appears to be natural. The only concern at this stage is simply the sheer number of keywords that have been used in links. However, when we look a bit deeper, more questions start to emerge. First of all, only 32% of all the links to this website point to the homepage. On an ecommerce website, it’s perfectly normal to have links pointing to the product or category pages as bloggers review their products. However, these links are often (but not always) accompanied with homepage links. Since links should be natural, there is no concrete rule about how they should be distributed, but 32% seems very low. Whilst it’s perfectly normal for a website to have high risk links, especially if it’s been established for a long period of time, only 7.7% of Powerhouse’s followed links are considered to be low risk. This suggests that their link profile is not as natural as they would like us to believe. These were common link building tactics from a few years ago that Google has tried to stamp out. Some of their other links came from websites with signs of being part of a link network. We’ve seen websites with healthier link profiles suffer the wrath of Google’s penalties. Whilst no urgent action is required, as they don’t appear to have been penalised yet, a change in direction is definitely required for the future. Rather than looking for a quick win, they should be looking to build a relationship with bloggers and influencers in their industry to build higher quality links in a more natural way. Fitness Superstore currently has greater visibility than Powerhouse Fitness and appears on page one for extremely competitive keywords such as “cross trainer”, “exercise bike” and “treadmill”, although falling slightly short of the coveted top half of the first page for many of these terms. Whilst the current SEO campaign appears to be very good, things used to be better for the website. In June and November 2012, Panda algorithm updates resulted in a large drop in visibility. The purpose of this algorithm was to promote high quality websites and demote low quality websites in search results. Unfortunately, the reasons why a website is hit by a Panda algorithm are not clarified and many webmasters are left bewildered as to what they have done wrong. Often, the only things wrong with the website will be practices that other websites have been getting away with, which is even more frustrating. When asking for help, the advice is usually “write great content” which leads the webmaster to scream with rage. We had a look at the Fitness Superstore website to identify any issues. Whilst we can’t be certain what triggered an algorithmic penalty, we can identify potential issues. At first glance, everything seemed fine: the layout is ok, the content is unique and descriptive and the website structure is good with simple navigation to categories and sub-categories. However, when looking more closely, some issues did arise. The first issue is when looking at the home page, all the content is right at the bottom of the page and requires a lot of scrolling to find. When reading the content, it could be interpreted as being aimed at search engines, rather than customers, as it begins to list the various products that it supplies. Content placed above the fold which can be easily and quickly digested is far more effective. Secondly, there is an issue with the URL structure of the category pages. To put it simply, there are multiple URLs which can be used to access the same pages. This can be rectified simply by placing a canonical tag in the page header, which Fitness Superstore has not done. On its own, this often is not an issue as Google has claimed that it can choose which version of the page it deems the most suitable, but duplicate pages are not considered best practice or a good user experience. The third issue was with the sub-categories. Take treadmills for example: there are four different sub-categories which make perfect sense from a human point of view. But from an algorithmic point of view, all four pages offer a similar product range and have a similar title. Without content on the page, search engines might struggle to identify what makes these pages unique. Adding content at the top of the page as well as semantic mark up on the breadcrumbs might help. Lastly, we found the website www.muscle-man-fitness.com when searching for duplicate content. This website was made using frames (which search engines struggle to read) and, while we don’t know its purpose is, having a duplicate version of the website is highly inadvisable. This website should be removed or reported to ensure that it doesn’t negatively affect the main site. Moving onto links, we found a lot of similarities with Powerhouse Fitness. When we looked at the anchor text distribution, the results in the word cloud below are like a turbocharged version of the previous website. Again, the brand is most prevalent, but keywords are far more widely used. This certainly requires further investigation as it doesn‘t look natural at first glance. When we looked at the link distribution, we found that only 35% went to the homepage. Like with Powerhouse Fitness, this seems very low but could be natural due to bloggers reviewing their products. As with the previous website, most of the high risk links are from link directories, forum spam and websites that have been de-indexed by Google. The link directories are also the main source of keyword-rich anchor text – this is a classic way to get a manual action penalty! Again, there is no evidence that they have been penalised as a result of their link profile, but care should be taken in the future. In comparison to the two websites already discussed, Anytime Leisure has both a smaller online presence and a link profile with less visibility. Whilst there are still some signs of unnatural link building, but there has been no sign of a penalty. In fact, since they launched a new website at the end of 2012, their overall visibility has increased. We know that Google is more likely to penalise websites that practice spammy link building techniques on a wider scale, but Anytime Leisure are still a big enough company to have to be careful. So do they have anything to worry about? Let’s have a look. Most of the anchor text is variations of the company’s brand, with some keywords thrown in. So far, so good! We also know that 82% of links are pointed to the homepage, which sounds a bit more normal. What does an analysis of their followed links look like? Okay, there is definite room for improvement here, but it looks better than the previous profiled websites. We need to look deeper into the high risk links to identify where they came from and how much concern they should raise. Again, we found some familiar patterns with many links coming from link directories, forum spam and article directories with keyword rich anchor text – link building practices from a bygone age. However, these are in far smaller number than their competitors. Unnatural links are common for most websites, especially whose that have been established for a long time. Whilst this website has a large percentage of unnatural and potentially toxic links, the overall number is low enough to be managed. By building the brand and generating relationships with influencers in the industry, natural links can be created. As natural links emerge, the suspicious links can gradually begin to be removed or disavowed without reducing the visibility of the website. 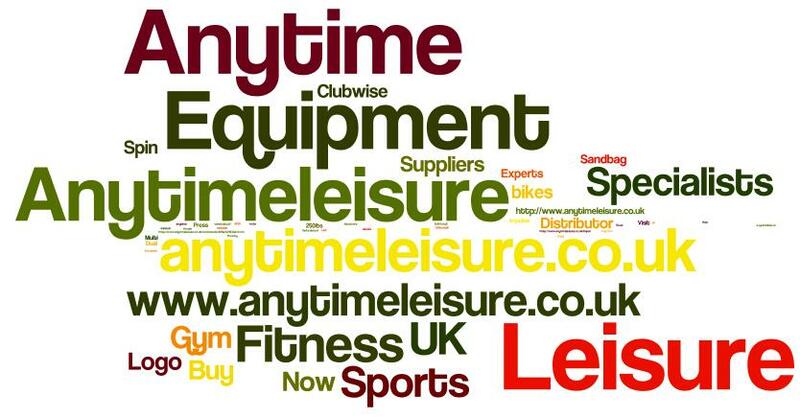 According to Open Site Explorer, Gym World has a similarly sized domain authority (DA) to Anytime Leisure, but their overall visibility is far greater and currently appears on page 1 for several variants of the lucrative keyword “gym equipment”. The DA is a very approximate metric and does not take into account the same number of factors that Google’s algorithms do, but is a good way to get an idea of the strength of a website’s link profile. Their superior visibility could be down to one factor – keyword research! There is no point having the greatest website in the world with thousands of quality links pointing to it if you don’t know who or what you are targeting. When looking at the Gym World website, they have a simple, logical structure with landing pages that are clearly targeting search terms which they have done their research on. This enables them to target a wide range of potential customers. In January 2014, there was a sudden drop in visibility, which recovered in May. Due to the pattern of the drop and recovery, the first impression is that this is the result of a penalty. However, this does not coincide with any of Google’s algorithms, although we should not rule this out. This interesting thing is that their pay per click (PPC) campaign appeared to have been suspended during this period, which would be unusual during a penalty as many websites increase their PPC budget to recoup their losses. A strong possibility is that the website may have been suffering from server issues during this period. A website being slow or unavailable can affect its position in search results and would account for the lack of PPC due to the potentially high bounce rate. Whatever caused the drop in visibility, it appears to have been resolved effectively. Whilst unnatural links are normal for many websites, almost three quarters of the followed links to the Gym World website were classified as high risk; the overall number was higher than any other website profiled. When we had a look at the source of many of these links it got worse. We got link directories, blog networks and forum spam. When inspecting their historic links, many are from websites that are no longer operating, which is a symptom of a link network that is no longer making money in a post-Penguin era of SEO. This is an extremely risky link profile and many websites have been strongly penalised for far less. Fortunately, much of the problem appears to be resolving itself as many of the linking websites are going offline. However, future link building should be done very carefully as any further unnatural links could trigger a penalty. However, disavowing the existing toxic links could reduce the overall authority of the website as they form the majority of the link profile. All four of the websites analysed had strong signals of unnatural link building, including some very risky links. However, unlike many other industries, they appear to have escaped the wrath of Google’s Penguin algorithm. Some of these websites have other issues which need resolving but for the moment they seem to be managing pretty well. However, whilst their previous SEO strategies still appear to be working at present, there is no guarantee that a future Penguin update won’t hit them hard. There are other websites with a similar story, such as www.uksportimports.com and www.purefitnessandsports.co.uk, which have suspicious link profiles but have no Penguin penalty as far as we can see. The latter website has had a drop in visibility that appears to be due to the Panda algorithm as a result of content. Yet both websites still appear on page one for some competitive keywords. Quite why these websites have escaped penalties is unknown. We were unable to find websites in this industry that did greatly suffer in the wake of Penguin. Perhaps luck has played a part, but this should not be taken for granted. Build an amazing looking website. Nobody will want to link to a website that looks amateurish. Create useful content. Being interesting or funny is not enough. People want to share content that is relevant, valuable and can help them in what they do. Creating great content can also establish your business as an authority in your field. Engage! Build relationships with bloggers and influencers and they will be more willing to share content. If you involve them in the creation of content then they will take pride in the work created and share it with other influencers. If you’re interested in reading more about building a great link profile, download our eBooks, Link Building Through Outreach and Build Clean, Build Organic. The review of these websites was done by analysing the links that we could find using a range of tools. However, we do not have access to their Webmaster Tools accounts and are unable to take into account any currently disavowed links. Whilst there is no evidence that these websites have suffered from manual action penalties, this is based on the data we have available and we cannot be certain if a penalty has been given. Want to see what shape your own website’s in compared with your competitors? Contact Click Consult today for an in-depth analysis of your website, advice on where you sit in your industry and bespoke strategy suggestions.